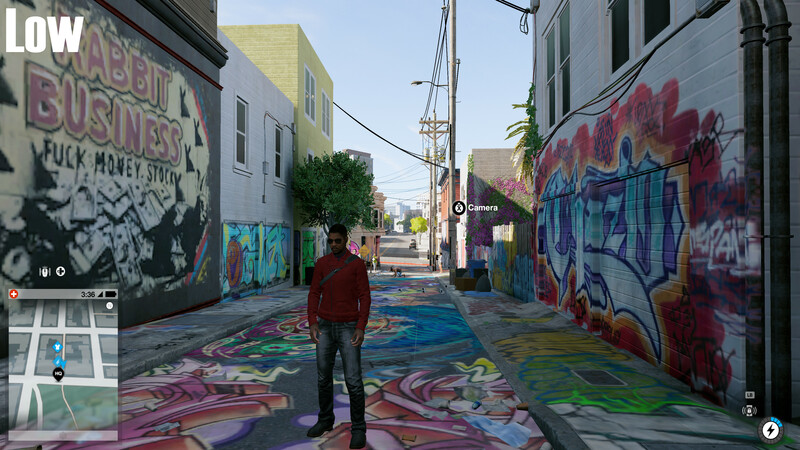 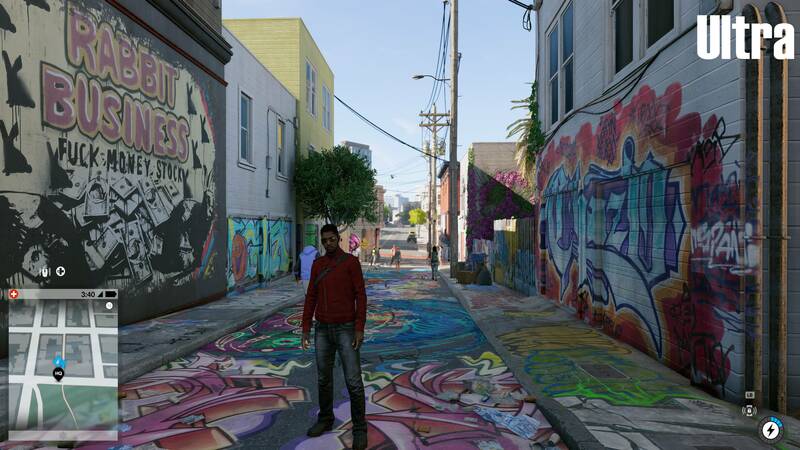 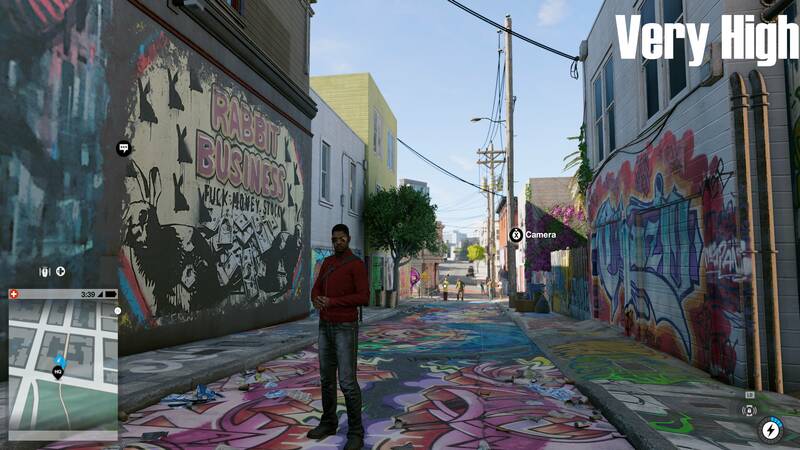 A lot of the biggest visual changes in Watch Dogs 2 can be seen in environmental textures, which is particularly visible when you are looking at areas where there is a lot of graffiti or trash on the ground. 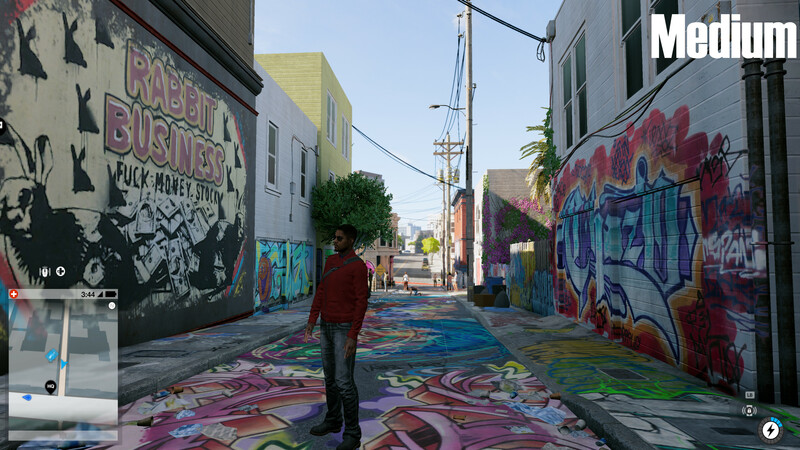 At each detail level, textures become more crisp, especially when playing the game at high resolutions like 1440p and 4K. 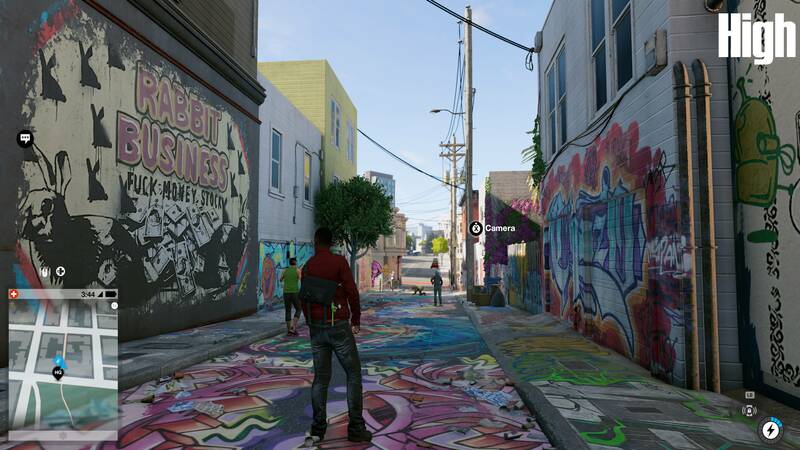 At the game's highest settings, players can hug most walls without finding any texture resolution issues, which is great for users of high resolution displays.